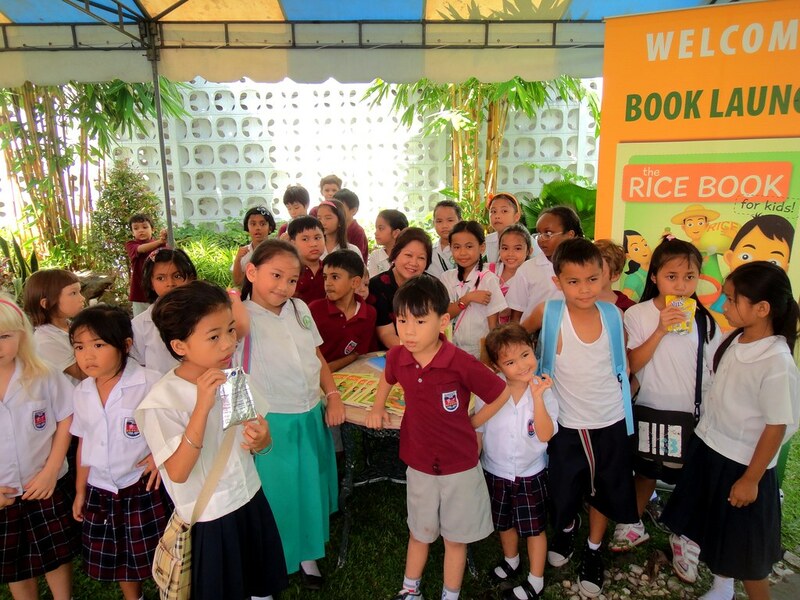 The Rice Book for Kids by Norma O. Chikiamco was launched before a wide-eyed audience of children from schools near IRRI, which hosted the event. The 32-page book is a visual and colorful collection of facts about rice—how it is produced and processed, and how it is an important part of many cultures—written in simple and exciting language. The book is published by Anvil Press in the Philippines and is illustrated by Martin Malabanan, with IRRI as a major source of information and photos. "IRRI believes that it is important to get the message out to our young people about the importance of rice," says Gene Hettel, head of IRRI Communication and Publications Services, who opened the launch. "I think this book speaks to an important audience. As future consumers, producers, or even as scientists working to improve the crop, we need to get kids excited about rice." Sixty-six percent of those who visit IRRI every year are students, many of whom are young children, such as those present during the launch. The kids were from Brent International School (IRRI campus), Christian School International, and Bagong Silang Elementary School. Several teachers and IRRI staff were also present. The launch included a storytelling and games for the kids, book-signing by the author, and cocktails that featured sweet and savory rice dishes. The treat including rice polvoron, prepared by the author from her own recipe.